Type A – Recessed Bolt Adapters have a recess which holds a bolt head securely in place whilst the nut is tightened. 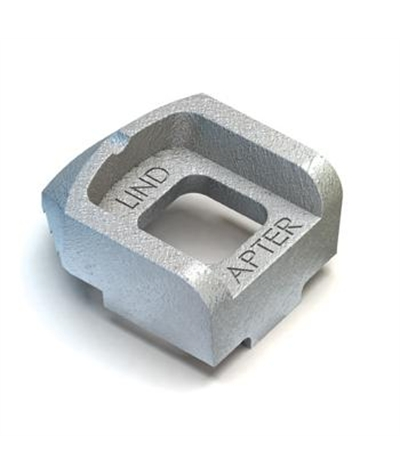 These are used in conjunction with standard bolts and nuts, for clamping to flanges of many thicknesses, eliminating the need to drill into steelwork. Available in sizes M10 up to M20, with various tail lengths. The tail length should be chosen to suit the thickness of the flange to be gripped, with the skirt preventing rotation during installation. Suitable for flanges up to 8°.